Cebu girls are the sweetest, most loving, most caring, and beautiful of all Filipina girls and they will provide you with everlasting love. Filipinas are known for world class beauty and grace and being more active and more loving compared to Western women. Cebuana girls tend to be more understanding, sincere, loving, caring, devoted, and their love is unconditional. Providing you with love, care, and commitment are Cebu girls. Filipinas are the best women among all of the women in the 42 countries that I have been to. 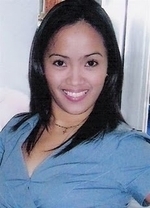 Cebuana girls and Philippine girls in general are friendly, english-speaking and always ready to share a smile. They are warm-hearted and thoughtful and when in a relationship they are devoted to their partner. Though, there are some who go for the thrill of hooking up with multiple partners, so use caution just as you would in any relationship. Philippine women's personalities vary by region. Let's compare a Manilena (a woman from Manila) to a Cebuana (a woman from Cebu). Women from Manila, being from a bigger city, project a stronger character while Cebu girls tend to have a more subtle personality. They are more affectionate, caring, polite, romantic and they are more devoted to their partners. Cebu girls have the tendency to be jealous and they are not afraid to show it. Other than that, they are family and value oriented, and they are eager to love you and care for you. Need I say more? Of course I need to say more! There are a few issues you'll have to deal with concerning this situation, namely: Meeting a Filipina online, Philippine dating and Marriage to a Filipina. With the Internet today, meeting people from different countries and different walks of life has been made a lot easier for us. Chat rooms have become really popular recently as have websites that offer memberships to those who are seeking their lifetime partner. The problem is that there are so many choices online that it becomes difficult to choose. I recommend associating with a reputable website that has been in business for several years. Dating Filipinas and Cebu girls in person is a completely different situation. First of all, you have to come to the Philippines! In dating a Cebu girl or Filipina, patience is the key, and an understanding of the culture will help foster a long-term stable relationship with the woman of your dreams. Is An Asian Bride in Your Future?